State Bank Of India cherishes its proud association with R.M.C.H since 1972. The bank had opened its branch on 24.02.1972 in the campus. Ever since it has been catering to the banking need of the staff of R.M.C.H(now RIMS), both teaching and hospital employees. The association has been mutually beneficial to the Bank as well as to the people of RIMS who are considered as important members of the State Bank family. They have been extending a host of services to the RIMS staff which include retail loans like car loan, housing loan, education loan, press credit(personal loan)etc as well as loans for purchase of equipments/construction of nursing homes at very competitive rate of interest. Many of these loans are already being availed by RIMS community. 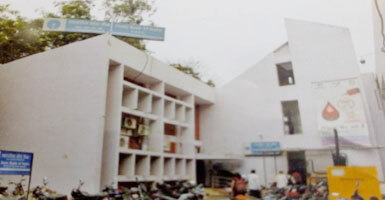 This branch was among the first to come branch in India. Other channels of banking facilities are also on offer to its customers. The institute has been a major contributors to the business growth of the bank in the past and shall continue to grow with RIMS.